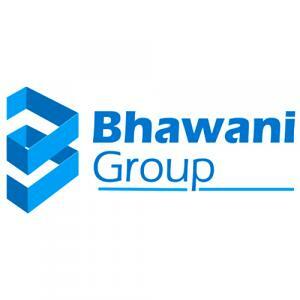 Bhawani Enclave is a residential project developed by Bhawani Group at Gobra in Hooghly. The project aims to offer a comfortable living condition to the residents by encompassing , adding to its existing many facilities. Gobra is one of the most elite areas of Kolkata. It is in close proximity with Ballygunge Park, Picnic Garden, Park Circus, Kata Pukur, Kustia, etc. Flanked by roads like Topsia Road, Rifle Ramge Road, Rammohan Bera Road, this place enjoys a strong connectivity with other prime regions. Owing to the presence of the Picnic Garden Road that gets linked with the EM Bypass at a very short distance from here. The nearest stations from this place are Ballygunge Junction and Park Circus Railway Stations. Apart from this, Howrah Junction is a major station close to this place. Netaji Subhas Chandra Bose International Airport is also at a driving distance from this place. Ice Skating Rink, Birla Science & Technological Museum are few other major attractions nearby this place. The shimmering Rabindra Sarovar Lake nearby, surrounded by shrubs, trees and flowers offers picturesque view and is a renowned recreational area of Kolkata. Set in Kestopur, adjacent to New Town Bhawani Allen Enclave by Bhawani Group is ispired by you dream. Bhawani Group has already established itself in kolkata as a major real estate player by delivering more than 500 apartments in Kestopur alone.